Solar FX are Telis Darkman (Telis Takas) & Absolut Zero (Aggelopoulos Nikos) from Thessaloniki, Greece. Together they began producing psytrance at the beginning of the century, building custom-crafted material for Absolut Zero’s DJ sets and playing live. 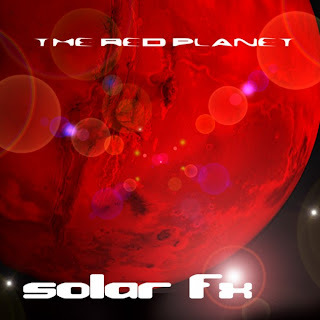 Now, after a long period of gestation, the Greek duo is ready to debut their style to the world with The Red Planet, jointly released by Helicon Sound System Records and Plasmatica Group. The style is groovy and uplifting full-on psychedelic trance perfect to keep the dance floor moving into sunrise and beyond. Mastered by N.O.M. @ N.O.M. Studio. Powered by Helicon Sounds Music.